drivingandlife: PORSCHE SALE - FIVE MILL FOR 550! 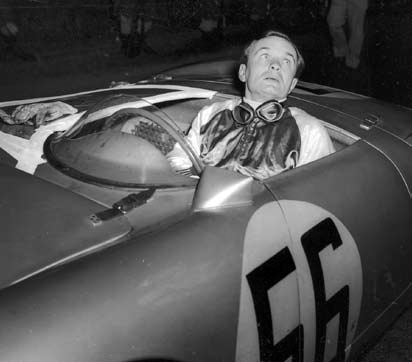 Recently I wrote about Jaroslav 'Jerry' Juhan and his exploits with Porsche 550s back in 1953, racing in both Carrera del Pacifico, and the Carrera Panamericana 'Mexico'. Here's a bit more to add interest to the story. At the Amelia Island auction this year, held by Gooding and Company, a 1955 Porsche 550 was on the block, from the Jerry Seinfeld collection. When the hammer finally fell and the winning bid was received, the crowd was amazed to see that the auction result for this 1955 model, with three owners since new, and just 10,500 miles on the clock was, wait for it! USD$5,335,000! That car-collecting hobby can turn out okay!